How Will the New Chase Credit Card Rules Affect Frequent Flyers? Chase is tightening restrictions on credit card applications. They are limiting the number of new cards a customer can get to five within a 24-month period. So if you apply for a sixth new card in a two-year period, Chase is very likely to turn you down. And yes, that includes new cards from any bank, not just Chase. The so-called 5/24 rule is intended to limit churning by people who open new accounts often to get big sign-up bonuses. For those of us on the prowl to maximize our point balances, we now have to be more selective about the cards we apply for. Chase’s Ultimate Rewards cards should be on any list of cards to get if you like to travel. That’s for two simple reasons: the Ultimate Rewards program is great, and the earning potential on the best cards is fantastic. The co-branded hotel cards in Chase’s portfolio sometimes offer big sign-up bonuses, and they can be great for getting free hotel rooms, but they are not the best option for air travel. Some of them don’t offer transfers to frequent flyer programs, and even when they do, the rates usually aren’t good. Obviously the co-branded airline cards are designed to get you free flights, and they also have some nice carrier-specific perks. The Ultimate Rewards cards, though, are still a better option because of their flexibility. You’ll be able to transfer points to a variety of airlines, or purchase travel through the Ultimate Rewards website. In other words, you’ll never be stuck with points you can’t use because they’re associated with the wrong airline. So, if you’re thinking about getting a new rewards credit card or two, you should definitely consider Chase’s Ultimate Rewards program cards: Chase Sapphire Preferred and Ink Plus Business if you own a small company. If you have one of those cards, adding the Freedom card to your collection is a great way to boost your points with everyday spending. It has no annual fee and 5x rotating bonus categories that change each quarter. With this lineup, you get access to all three of the major airline alliances; United and Singapore are Star Alliance members, British Airways belongs to oneworld and Korean Air is part of SkyTeam. 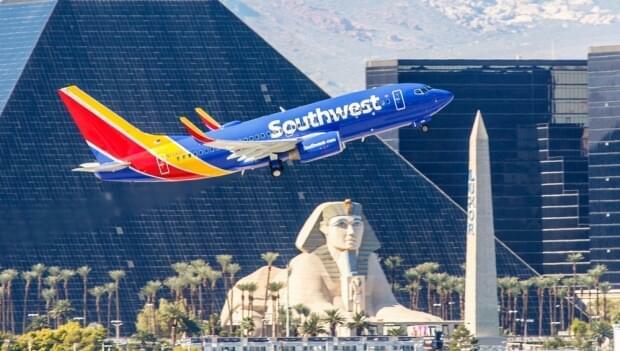 Plus no other rewards program allows you to transfer points to Southwest, which is the largest budget airline in the world and an excellent option for domestic flights. You can also take advantage of the flexibility of purchasing airfare directly through the Ultimate Rewards website. Though you can get more value for your points by strategically transferring them to airlines, using the travel center can be a great option, too. You can book with any airline and simply pay the cash price for the ticket. As an added bonus, you’ll get 20 percent off of travel purchased through Ultimate Rewards, so your points will stretch a bit further at 1.25 cents per point. With a generous 50,000-point sign-up bonus, getting the Sapphire Preferred card seems like a no-brainer. However, if you’re an independent contractor or own your own business, the Ink Plus Business card might be an even better choice. You’ll get a bigger 60,000-point bonus and the ability to earn 5x the points on certain purchases. Sapphire’s maximum earning bonus is double points for travel and at restaurants. That’s a great benefit which can add up quickly if you’re a frequent traveler or if you eat out a lot. The Ink Plus card, though, offers a generous 5 percent back on certain purchases. You’ll get quintuple points on office supplies and for some recurring monthly expenses, including cell phones, landlines, Internet and cable TV. Plus, you’ll get double points at gas stations and hotels. So what about the Freedom card? Unlike Sapphire and Ink Plus, which both have a $95 annual fee that’s waived for the first year, Freedom is a no-fee card. That means it doesn’t come with some of the perks the other cards offer, like a big sign-up bonus. The Freedom card makes up for its 15,000-point sign-up bonus, though, by offering 5x the points on up to $1,500 in purchases in rotating categories that change every three months. Those categories vary, but can include gas, groceries, restaurants and a variety of other types of retailers. If you max out your earning for the bonus category, you’ll get 7,500 points a quarter, or 30,000 points a year. And that’s every year. Add that to the sign-up bonus, and you’ll get 45,000 points the first year you have the card. Not bad. The card does give you access to the Ultimate Rewards program but with no 20% discount on purchases. And you can’t transfer points to airlines. But you can transfer the points to your Sapphire or Ink Plus account if you have one and use those benefits with those cards. Chase does a good job of offering bonus points for different categories of purchases with each of these three cards. Sapphire offers bonus points on travel, including airfare, and restaurants; Ink Plus on gas, hotels, cell service and Internet; and Freedom on a variety of different rotating categories. If you get more than one of them, you’ll be able to take advantage of this and your points will add up fast. So pick your cards carefully if you want to stay under the five in two years limit. But all three of these are good choices if you plan to focus on the Ultimate Rewards program to earn build your point cache.